Natures gift to the masonry field! 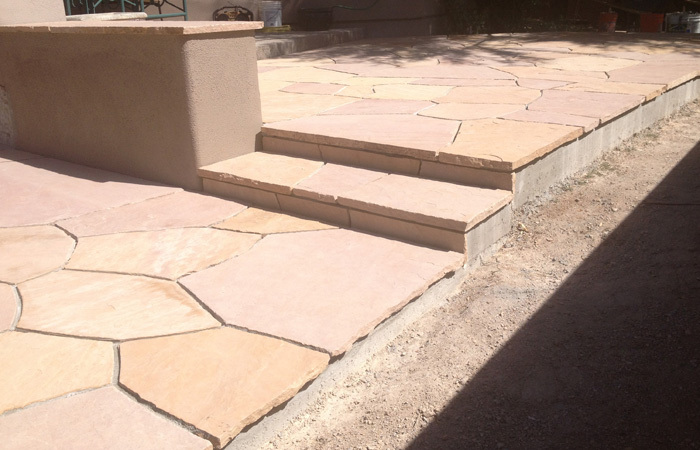 This is an amazing stone available in so many colors from all different areas of the country. 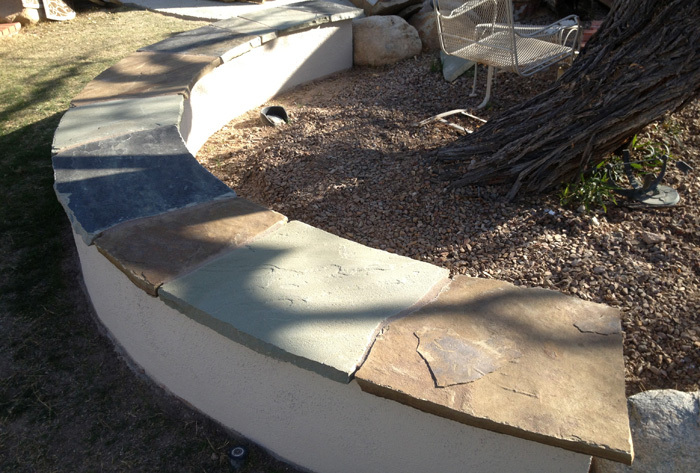 I’ve worked with stone from Pennsylvania, New York, Oklahoma, Utah and of course Arizona. 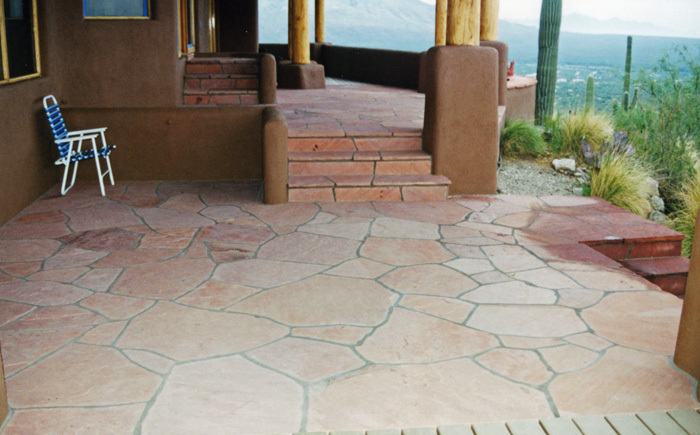 Flagstone is a quarried product, typically sized in 3’x4’ slab sections, ranging anywhere from ½” to several inches thick. 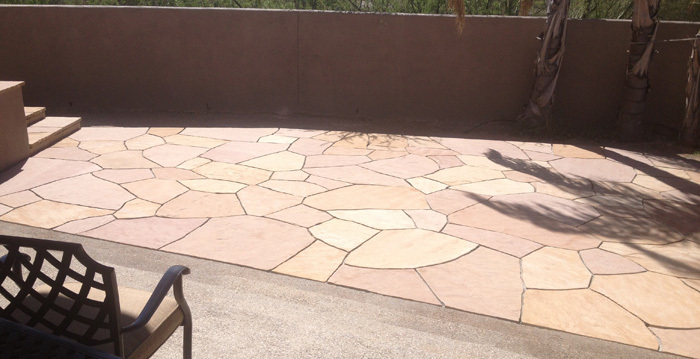 Flagstone has many applications; outdoor patios, wall veneers, tabletops, seat benches, and the list goes on. Want to add some flair to the interior of your home? 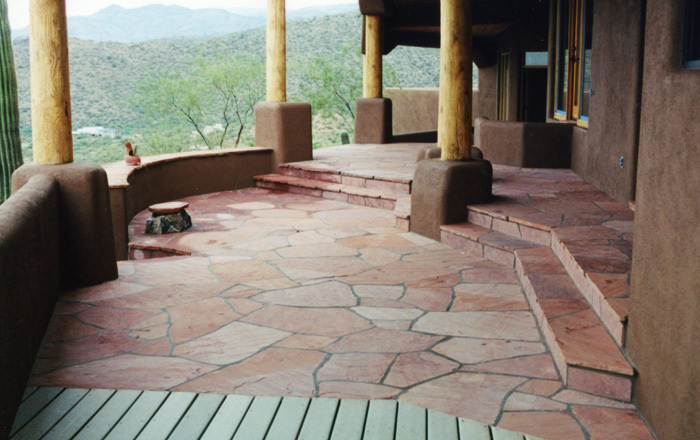 Install this on the floors and polish it with a quality stone sealer. The room will pop! 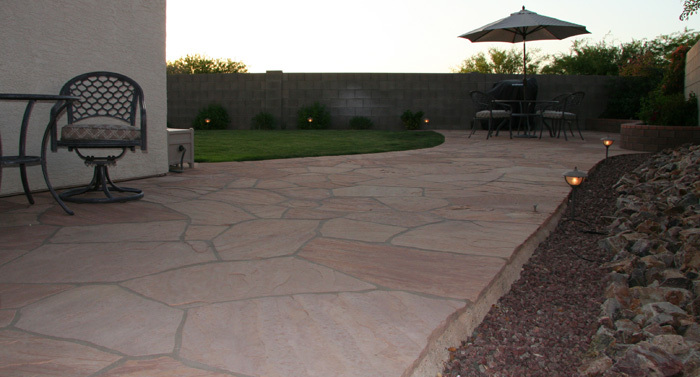 Stones can be saw cut – using diamond cutting blades – into squares, rectangles, or geometric shapes for a more modern feel. 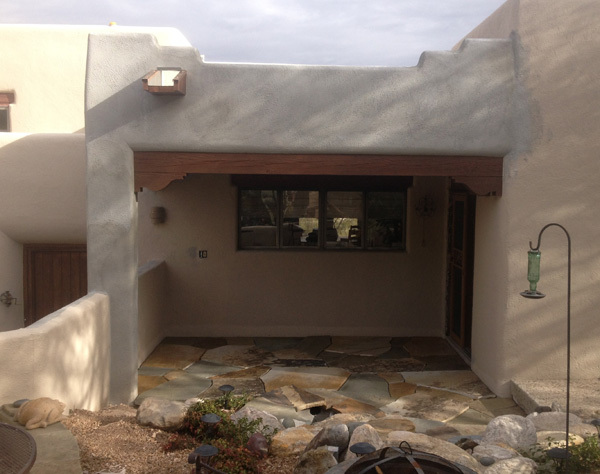 However, if you prefer the natural look, a hammer and chisel is in order!